An Old Friendship..A New Dream.. So often I look at people and their lives from afar and wish to get to know them better, but when that actually happens I am left with disappointment and despair. On the other hand, destiny sometimes puts the most unexpected people in my path, people who would otherwise have no business being there, and those very strangers become an integral part of my life. That is how we met, Shruti and I, at an event I would have written off as a complete waste of time, but for the fact that I met Shruti there. We hit it off the moment we met and the friendship has just blossomed since. With the many common interests we share – fashion, lifestyle, writing, photography, styling, Pune and the Army, spending time together is always a pleasure and it does seem to fly. We have been planning a collaborative shoot since forever, but something always seemed to come in the way, time crunches, missing photographers, logistics, weather and so many other trivialities of daily life, this time around too, the rains threatened to drench our plans and dampen our spirit, but we persevered. I am ecstatic that we finally managed to capture this special friendship in pictures, what makes it even special is the fact that this shoot marks the start of a new dream and a new venture Maharani Baug. 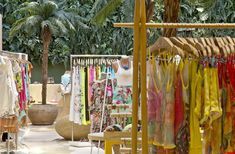 Maharani Baug stands for everything my sister Aditi and I love, everything stylish, fun, elegant with a hint of old world charm. For those of you who asked, Maharani Baug is my sister, Aditi’s baby, it has all my support and love, I do hope you will spare a few moments to show her some love too.